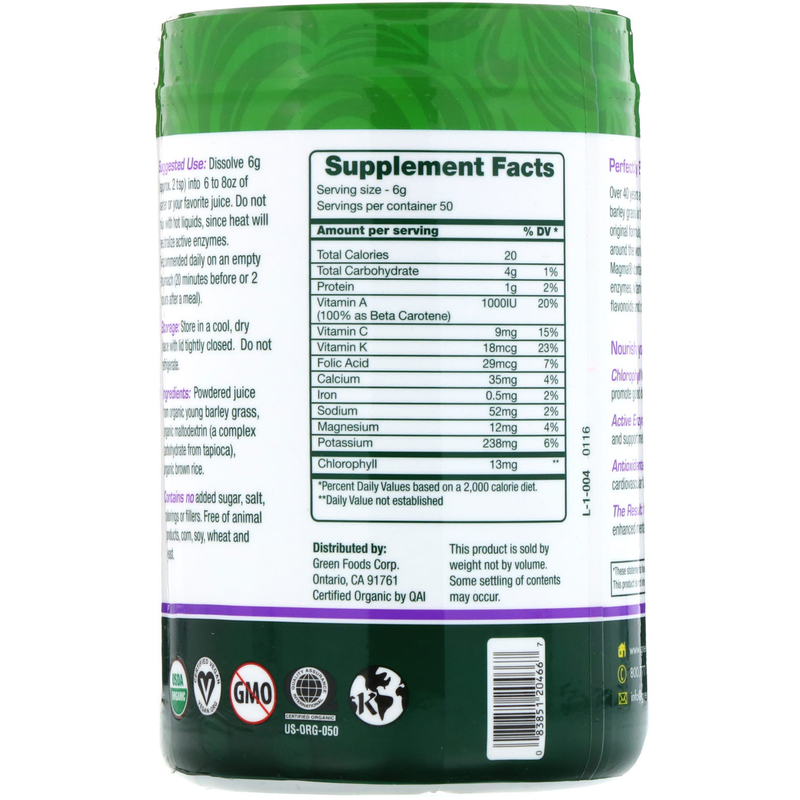 Over 40 years ago, Dr. Hagiwara discovered that organic young barley grass is the most nutritionally balanced food in nature. 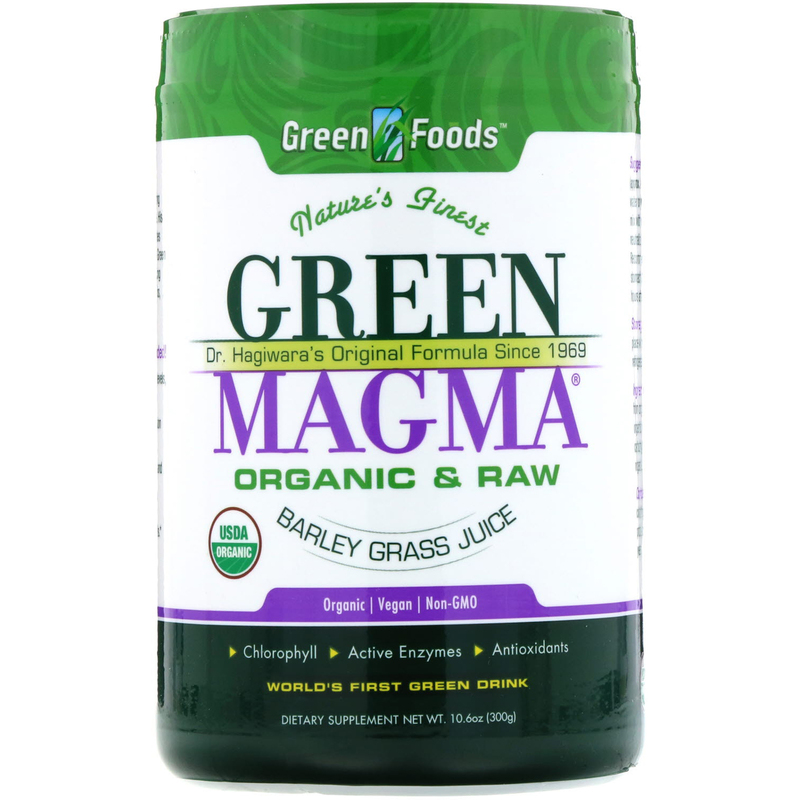 His original formula, Green Magma, has sold in over 50 countries around the world to thousands of happy healthy customers. 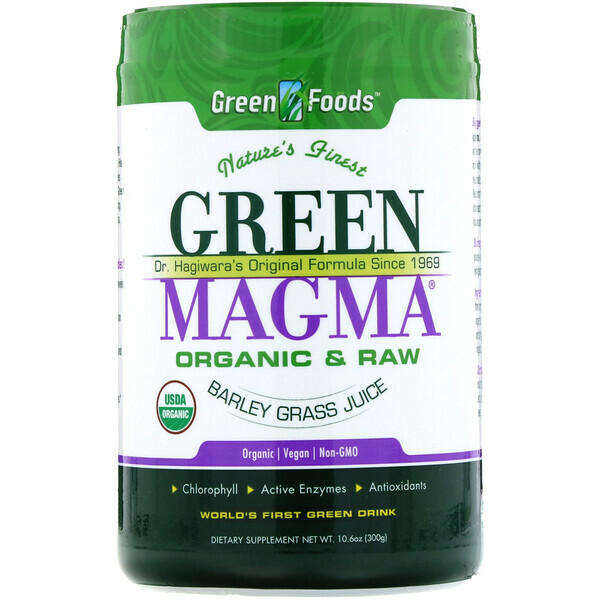 Green Magma contains over 100 beneficial phytonutrients including enzymes, vitamins, minerals, amino acids, protein, carotenoids, flavonoids and chlorophyll. Dissolve 6 g (appro. 2 tsp) into 6 to 8 oz of water or your favorite juice. Do not mix with hot liquids, since heat will neutralize active enzymes. Recommended daily on an empty stomach (20 minutes before or 2 hours after a meal). Powdered juice from organic young barley grass, organic maltodextrin (a complex carbohydrate from tapioca), organic brown rice. Contains no added sugar, salt, colorings, or fillers. Free of animal products, corn, soy, wheat and yeast. Storage: Store in a cool, dry place with lid tightly closed. Do not refrigerate.